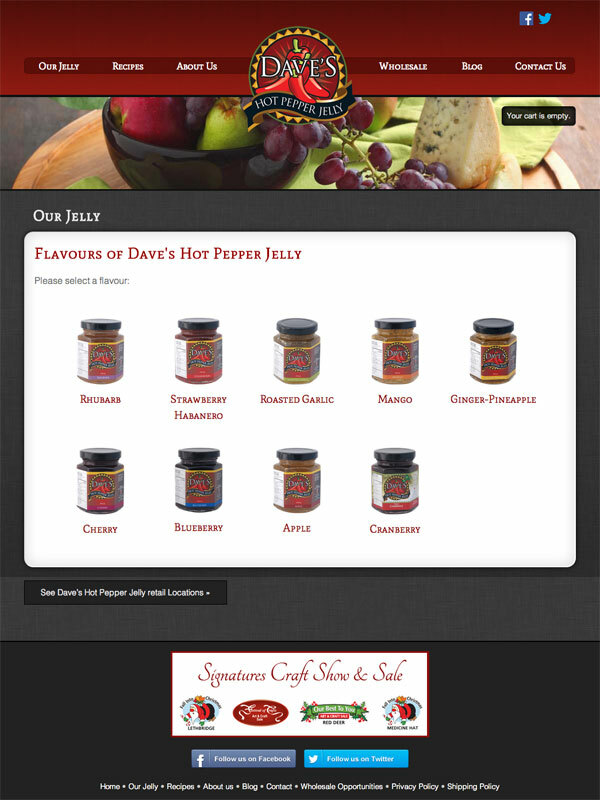 This now family businesses travels extensively around BC and Alberta attending farmers markets and growing their customer base. 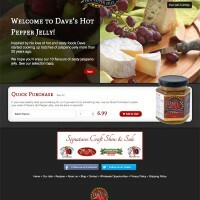 Their online store facilitates this by allowing both new and existing customers to re-order their jellies any time of the year. 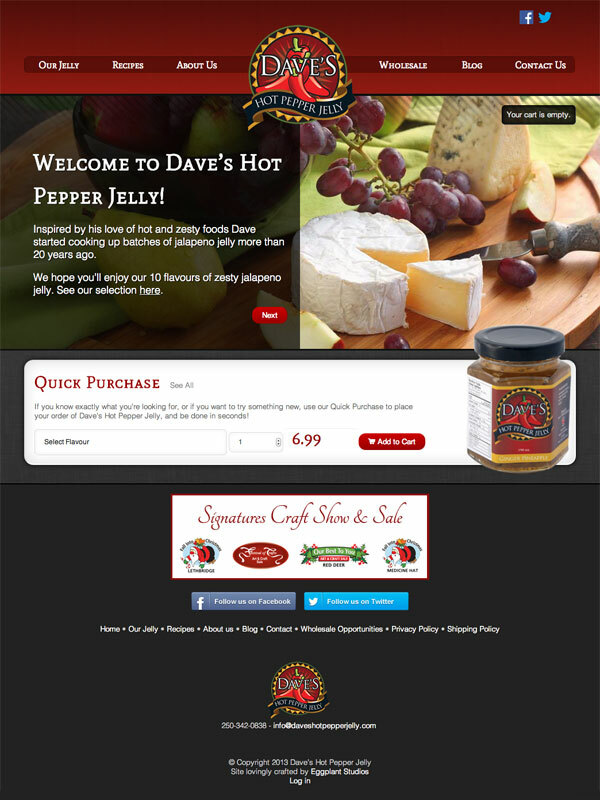 Eggplant has worked alot with Dave’s Hot Pepper Jelly, and we were very comfortable designing this site within their branding and overall aesthetic. 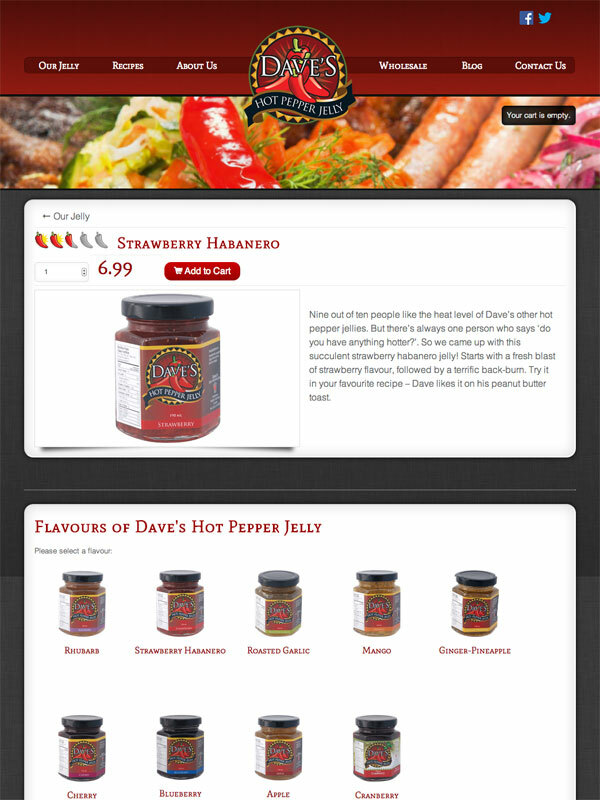 This eCommerce WordPress website uses WooCommerce to power their store, and the custom Jelly order widget on the homepage is a notable feature. 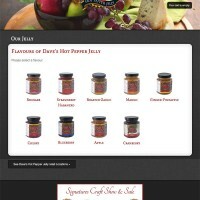 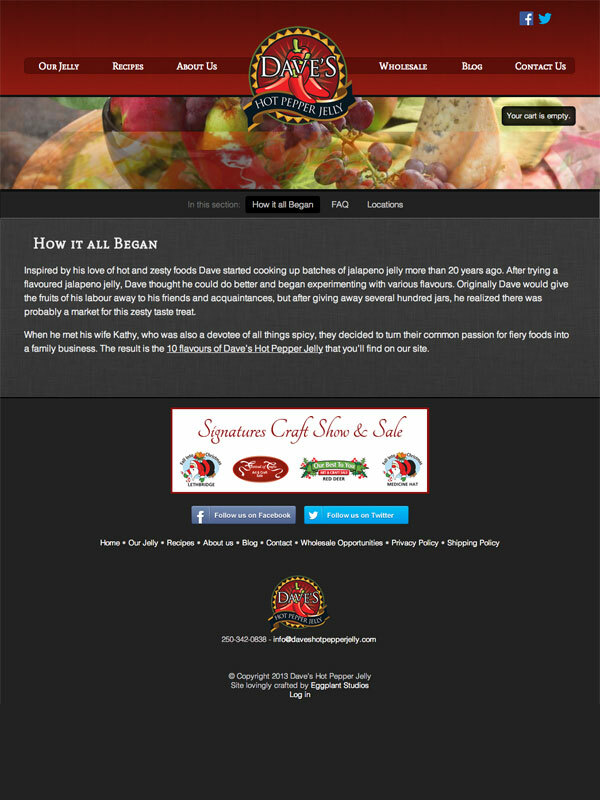 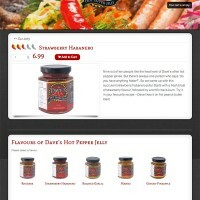 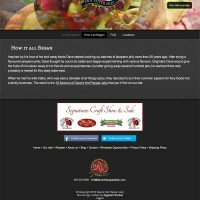 The site is mobile friendly, and includes a blog and a recipe section.